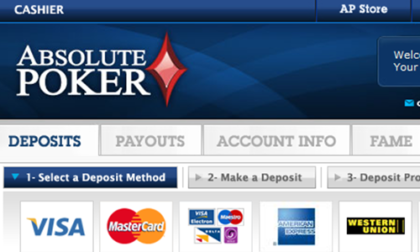 Less than three months after announcing the beginning of refunds for former customers of failed Cereus Network poker sites Absolute Poker and UB.com (the latter site formerly known as UltimateBet), US Department of Justice-authorized claims administrator Garden City Group will soon be sending out a second wave of refunds to long-waiting players. This second wave of refunds is much smaller than the first, which was announced back in June. According to the most recent posting from Ohio-based GCG, payments will be sent out in the coming weeks to roughly 4,700 former AP and UB players, for a total of about $3.7 million. That’s quite a bit smaller in dollar amount than the first wave, in which nearly $33.5 million was sent out, in total, to roughly 7,400 remission petitioners. The difference is larger due to the fact that the first payment wave was sent out to filers who submitted their claims by the process’s original June 9, 2017 filing. Those 7,400 approved filers would have included the majority of former AP / UB players who lost large balances on the sites when they folded after 2011’s “Black Friday” online-poker crackdown by the DOJ. Those would have been the players also most likely to have kept track of the Absolute Poker situation, even years after the fact. However, it quickly became clear that many thousands of former online poker players had drifted away from the online game and missed out on the news of the AP / UB refunds, which have been funded from leftovers of the massive PokerStars / DOJ settlement in 2012. The DOJ and GCG extended the filing deadline another 90 days, to Septemebr 7th, and continued trying to contact all former customers of the Cereus Network when it fled into the night back in 2011. All told, GCG mailed out notices to about 1.2 million former Cereus account holders. The fact that GCG had to do extra legwork to identify and notify many more former Cereus players, many of whom long ago wrote off relatively smaller balances, explains why there’s such a difference if dollar volumes between the first and second waves. The average second-wave refund appears to be less than one fifth the average amount refunded during the first wave of payments this summer. Those first-wave payments are still trickling out as well, particularly to international (non-US) players and to those who have had ongoing updates to contact information. Still more waves of payments are expected. As with the prior refund process for Full Tilt Poker also administrated by GCG, some percentage of remission petitioners will find their claims denied, reduced, or otherwise disputed, generally leading to individual and lengthy account reviews. GCG has been informed that the Money Laundering and Asset Recovery Section of the Department of Justice (MLARS) has approved a second round of payments to Petitioners who confirmed their Absolute Poker / Ultimate Bet account balances prior to the September 7, 2017 filing deadline. The distribution will include payments to approximately 4,600 Petitioners with awards totaling approximately $3.7 million. Payments will be made via electronic ACH to Petitioners residing in the United States and via foreign currency check to Petitioners residing outside of the United States. In cases where a foreign currency check cannot be issued, the payment will be made via USD check or foreign currency wire depending on the Petitioners country of residence. Within the next few weeks, GCG will be sending an email notice to all approved Petitioners that contains the amount and method of their payment. For Petitioners scheduled to receive their payment via electronic ACH or foreign currency wire, the email notice will also include instructions for submitting the required banking information needed for payment. 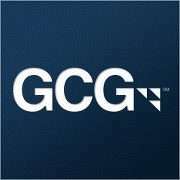 GCG will also be sending an email notice to certain Petitioners who were approved for payment and were identified as having a delinquent debt qualifying for collection through the Treasury Offset Program. Payments for these Petitioners will be reduced in order to satisfy their debt in part or in whole. To receive the balance of their payment, Petitioners must provide GCG with the information required to complete a Unified Financial Management System Vendor Request Form. Instructions on how to provide this information will be included in the email notice. Specific questions regarding outstanding debts and offset amounts cannot be addressed by the Department of Justice or GCG. To obtain information on your individual debt, you must contact the Treasury Offset Program at (800) 304-3107 or visit https://fiscal.treasury.gov/fsservices/gov/debtColl/dms/top/debt_top.htm for additional information. Petitioners should continue to check this website for updates regarding the payment process and this administration.